BAYER is set to shed 12,000 jobs worldwide, with 4100 expected to be lost from its crop sciences division, according to an announcement overnight from the company’s global headquarters in Germany. Bayer is headquartered in Germany, and is set to shed 12,000 jobs. Jobs shed in crop sciences will be the result of its integration of acquired businesses, and a further 5500 to 6000 positions were to be cut in its corporate, support, business and country divisions over three years. The chemical giant, which this year bought out Monsanto, has said the cuts will reduce its global workforce by around 10 per cent as it repositions itself as a “life science company”. 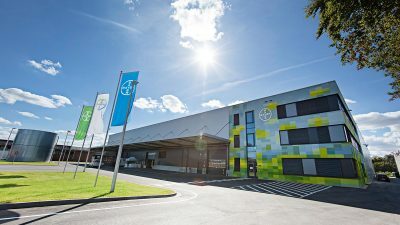 Bayer’s German offices were expected to be the site of most of the job losses, and an Australian company spokesperson told Grain Central it was too early to predict the impact here. Consumer health product lines in skin care (Coppertone) and foot care (Dr Scholl) are expected to be sold off by Bayer. Bayer currently has around 50 large-animal products in Australia, including Tri-Solfen for pain relief in sheep, Zapp and Viper lousicides, Bayticol and Baymec pour-on for cattle, Imak and Equitak to control internal parasites in horses, and insect and rodent killers. It also markets companion-animal products. Bayer’s crop range includes seeds, seed treatments such as EverGol and crop protection products such as herbicide Precept, fungicide Aviator and insecticide Confidor.